A bacteria that is a leading cause of death worldwide from hospital acquired infections following antibiotic treatment looks set to be brought down through its own sibling rivalry. Different strains of Clostridium difficile (C. diff) use tiny weapons to kill each other, and scientists from the UK and US have discovered how these work, enabling them to be engineered into an antimicrobial agent with the potential to prevent or cure C. diff infection. The team of scientists from the University of Sheffield, the California-based biotech company, AvidBiotics Corp, and the University of Glasgow also found that, when C. diff develops a resistance to these weapons, the bacteria can no longer cause infection, making them harmless. C. diff lives in the human gut – usually in small numbers – but when people take antibiotics, this kills off many of their protective gut bacteria, allowing C. diff to get a stronger foothold. It then grows very quickly, releasing toxins that cause diarrhoea and inflammation which can be fatal. Like many bacteria, C. diff can make a weapon that is able to identify and kill competing C. diff strains. This weapon attaches to the surface of other C. diff cells and fires a harpoon-type needle through their membrane, causing the cell to die. Scientists from AvidBiotics Corp have managed to engineer this weapon so that it can be mass produced in a stable form as a potential treatment or preventative for C. diff infections. But although this set of antimicrobial agents, called Avidocin-CDs, can kill multiple strains of C. diff without impacting other 'friendly' bacteria, they were still unsure exactly how these 'weapons' identified the different strains of C. diff and why other bacteria were left unharmed. So they teamed up with Dr Robert Fagan from the University of Sheffield's Department of Molecular Biology and Biotechnology, who is an expert in the crystalline outer layer of C. difficile, known as the S-layer. The team realised that the answer seemed to be linked to different types of S-layer – C. diff strains produce one of 14 possible different types. Dr Fagan said: "We discovered that the weapons naturally produced by C. diff and those engineered by our colleagues at AvidBiotics were using certain proteins in the S-layer to identify which strains to target. The C. diff S-layer is unique to these bacteria, which explains why Avidocin-CD killing is so specific. Scientists at AvidBiotics Corp were then able to engineer different versions of Avidocin-CD to target 12 of the 14 known types of S-layer." 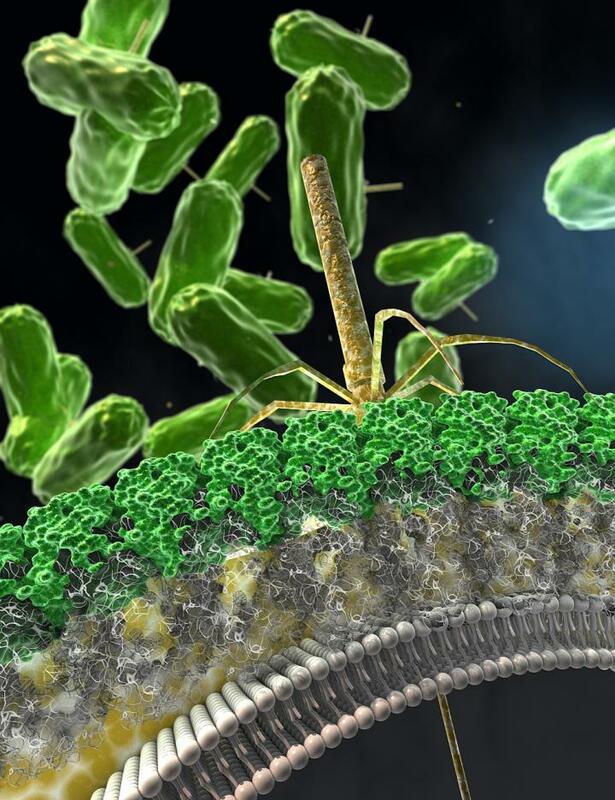 Moreover, the team also discovered that by getting rid of its S-layer, C. diff could become resistant to the weapons, but it was then no longer able to produce large quantities of toxin. Dr Gillian Douce at the University of Glasgow was able to show that while these resistant C. diff could still survive and multiply in the gut, they became harmless and no longer caused disease. The research has so far only been carried out in the laboratory and in animal studies, so further work will be needed before the treatment can be made available in the clinic. With almost 27,000 of the brightest students from over 140 countries, learning alongside over 1,200 of the best academics from across the globe, the University of Sheffield is one of the world's leading universities. Sheffield is the only university to feature in The Sunday Times 100 Best Not-For-Profit Organisations to Work For 2016 and was voted number one university in the UK for Student Satisfaction by Times Higher Education in 2014. In the last decade it has won four Queen's Anniversary Prizes in recognition of the outstanding contribution to the United Kingdom's intellectual, economic, cultural and social life.